Bad Habits is Noir at its darkest. The stories in this collection put crime under a microscope, its motivation and its consequences. People die. Justice is rarely served. Greed and Lust always in evidence, bleak in its portrayal of human nature. It addresses the business of life and death by showing men and women pushed to the limits, driven by instinct and emotion. Their schemes fail. They lose in love. They fall into crime. Bad things happen to good people. The hand of Fate always pulling the strings. The language is often poetic. It is the poetry of the absurd, the poetry of noir, the poetry of the mundane, the poetry of the street. It expresses the banality of life in poetic terms. Beautiful language to describe the ugliness of existence. Bad Habits contains a varied selection of crime stories but the jewel of the collection is Devil’s Pocket. Originally published in the anthology, Philadelphia Noir, it’s about an ex-cop lost in a world he no longer understands and can no longer control. It has atmosphere and stark imagery. And, of course, there are no happy endings. 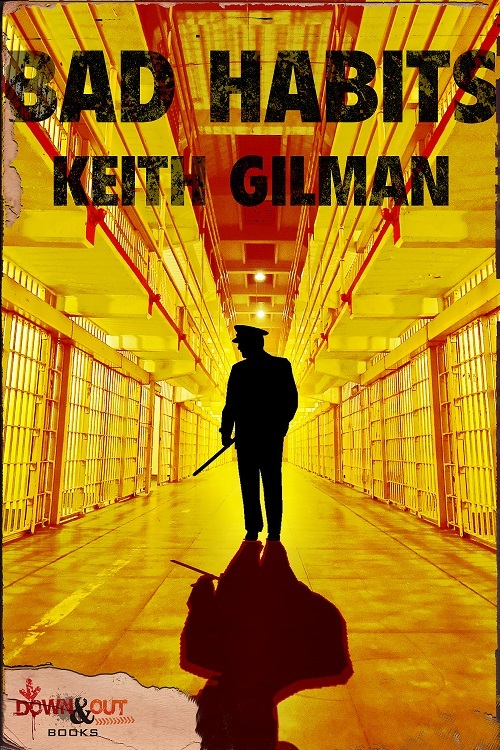 About the author: Keith Gilman has been a police officer in the Philadelphia area for close to twenty years and his writing is a reflection of that experience. He believes that cops have important stories to tell, stories that need a strong voice. He is the author of two earlier novels, Father’s Day, winner of the Private Eye Writers of America’s Best First Novel Award and My Brother’s Keeper, the second in a series of detective novels set in Philadelphia. His website | blog.